Firefox has finally did the inevitable. Firefox 3.5 is now the most used web browser in the world. This is the first time any web browser had ever overtaken IE. This is indeed a huge leap forward for Firefox and the open source movement itself. StatCounter is a site tracking and analytics tool. 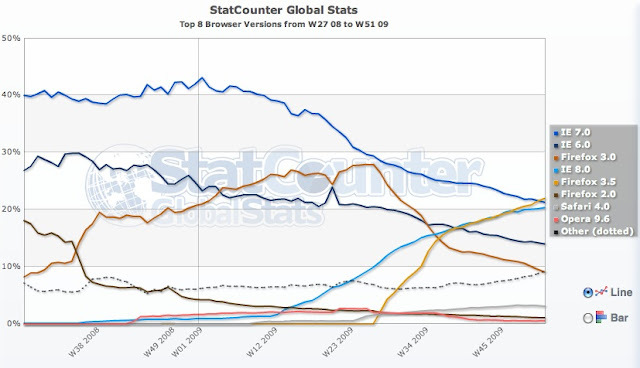 According to Statcounter, Firefox 3.5 is now the most used web browser in the world. You can see the latest statistics here.